The Cline M. & Jane O. Dahle Greenhouse at Southern Utah University is hosting a plant sale starting May 8th and continuing until the end of May or while supplies last. The sale will feature a variety of plants including indoor trees, organic vegetables, herb starts, native plants, and houseplants. Indoor trees for purchase include different species of fig trees, bananas and Scheffleras. The vegetable and herb starts available include different varieties of tomatoes and peppers, eggplants, squash, chives, rosemary, sugar snap pea, cauliflower, collard greens, broccoli, basil, lemongrass, thyme, stevia, lavender, carrots, and chamomile. Native plants are all drought tolerant and perfect for xeriscaping. Those available for purchase are Mexican hat, blanket flowers, alyssum, blue flax, dusty miller, cleome, bee balm, bunny tail grass, and desert 4 o’clock. 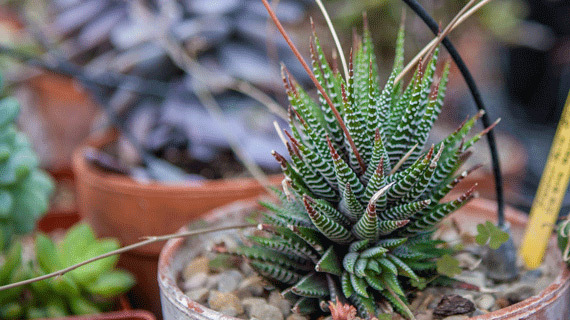 Houseplants include succulents, cacti, scented geraniums, spider plants, snake plants, ferns, palms, Hoyas, peperomias, aloe plants, jade plants, baby’s tears, mints, white ginger, and more. Prices will vary depending on the size and type of plant. The Greenhouse is located on the third floor of the L.S. & Aline W. Skaggs Center for Health & Molecular Sciences and is open Monday through Friday from 9 a.m. to 2 p.m.